Size: 430x240x360mm. 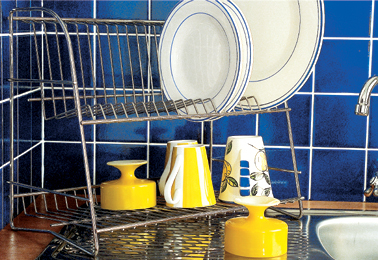 Upright design, which can be mounted onto the wall, for drying any type of crockery. For drying cutlery make use of the “Cutlery Hanger” (H45) which is an optonal extra.